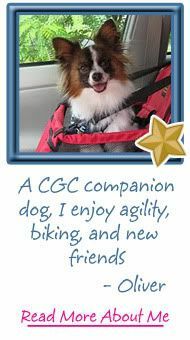 All Things Dog Blog has a new sponsor that spouts an unusual claim. SafeMade Pet Products' toys and pet bowls are all made to meet toy safety standards that were set for human toys. We had the opportunity to test out a few of their toys and a silicone bowl with Tanner and Oliver leading the way. I'd like to share our experiences with you today and tomorrow, and then we'll roll with a giveaway late Thursday afternoon. Sound good? First of all, let's talk about safety in terms of product materials. Do you worry about what your pup's toys are made of? In this day and age of frequent recalls and toxins found in so many materials, it's no wonder we get concerned. You will not find “Not Suitable for Children” labels on SafeMade Pet's products. I was really excited to find a page on their website entitled What is Safe, and to see that they address tough topics like lead and phthalates, along with more obvious materials. You'll find some good reading here if you're into the details. SafeMade's products are all made with food grade silicone that can be cooked in, while also being freezer safe and dishwasher safe. They meet all the ASTM (American Society for Testing and Materials) and CPSIA (Consumer Product Safety Improvement Act) guidelines for childrens' toys, to assure that your pets are playing with toys that are not harmful to them. 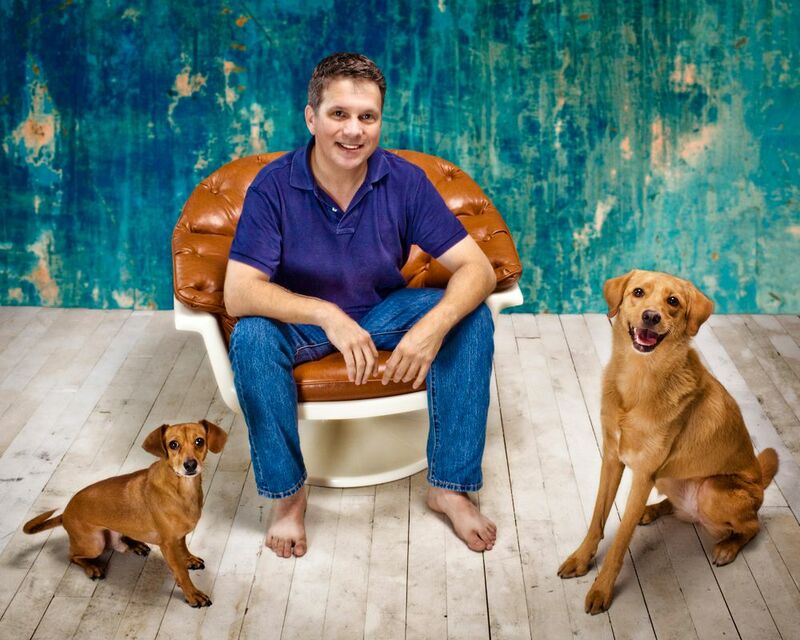 Safe Made Pet Products was born of a group of children's product developers who love their pets. After seeing what happened with the toxicity levels in toys in recent years, they began to wonder about the safety of their pets' toys, and soon took action to offer a totally safe line of toys for our pets. All of their bowls and feeding aids pass FDA guidelines for food safe dishware. This is especially important when we're talking about dog bowls that many pups like to pick up and carry around. Not only can they do this safely, but it won't break or make a loud noise when they drop it on your tile. Not to mention these bowls can't possibly crack the tile itself. I love this concept. The rigorous testing is basically amped up versions of the physical and mechanical testing that is done for the ASTM standards. These are torque and tension tests, etc. that are performed by machines. They even do a bite simulation test. But please note that these products are not tested on animals. You'll find more information at their FAQs page here. Once the folks at Safe Made Pet are happy with a design and it has passed these tests they give production samples to their family pets to “test”. This involves watching how the pet enjoys the toys and how they interact and play with them. This process includes paying attention to the wear the toys incur. It is important to note that Safe Made Pet doesn’t house any animals for testing purposes, and they run no lab tests for analysis of body chemistry. Next up is our photo show, where Tanner and Oliver will put three of their toys to the All Things Dog Blog Toy Test. Join us to see what fun they can have with silicone toys, so soft and yet so durable--the perfect chew toy. Post #3 in this series will share some fun ways to use their silicone bowls for your Bow Wow Baking. Tanner and Oliver enjoyed a banana cake made right here in our kitchen in their Flexibowl--shaped like a pawprint. This was a big hit, and I'll share the recipe as well as some photos of the fun. Post #4 will set you up with our giveaway plan, just to make sure we're all excited about this great new product line. Don't miss this opportunity to find out what we're planning for this giveaway. You'll have a full week to enter daily using each method, so get your Twitter trigger finger and your Comments plan ready; I'm going to put it to work! We'll wrap up with #5 next week on Friday, July 1st, with the announcement of our winners. You'll be able to find these in our sidebar "Giveaways" area as well. Meanwhile, if you just can't wait, SafeMade Pet has made available a discount code to All Things Dog Blog readers. You can visit their site at SafeMade Pet and get 10% off your entire order. If you order $50 or more, you'll get free shipping as well. That Discount Code is U3HZ94YRG24. 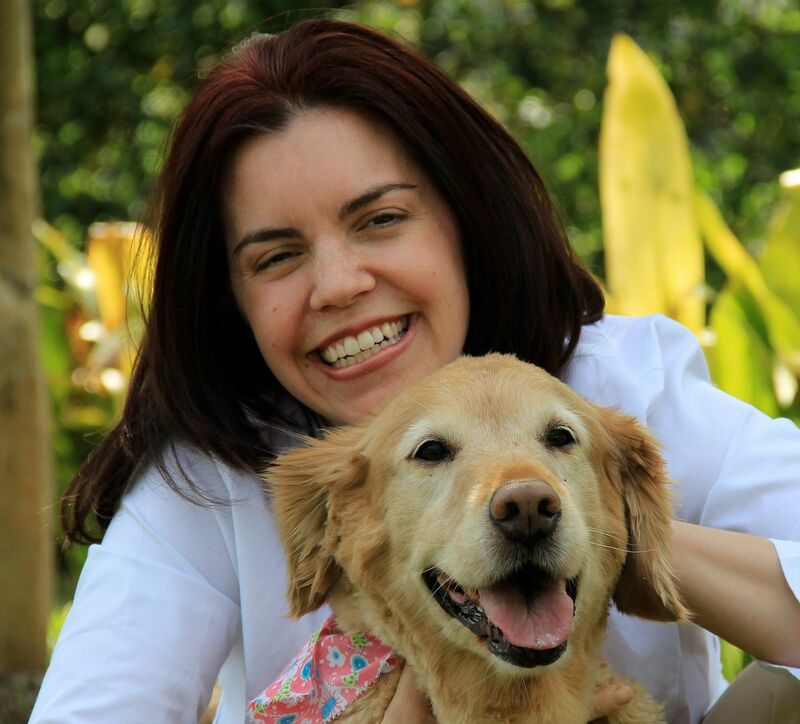 Stop in at SafeMade Pet's Facebook Page and "Like" them, so you'll get their updates. Be sure to tell them who sent you! 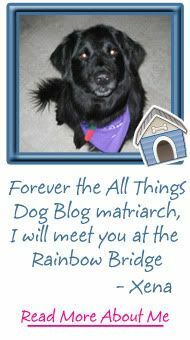 While you're there, you may as well visit All Things Dog Blog's Facebook Page and do the same, if you haven't already. 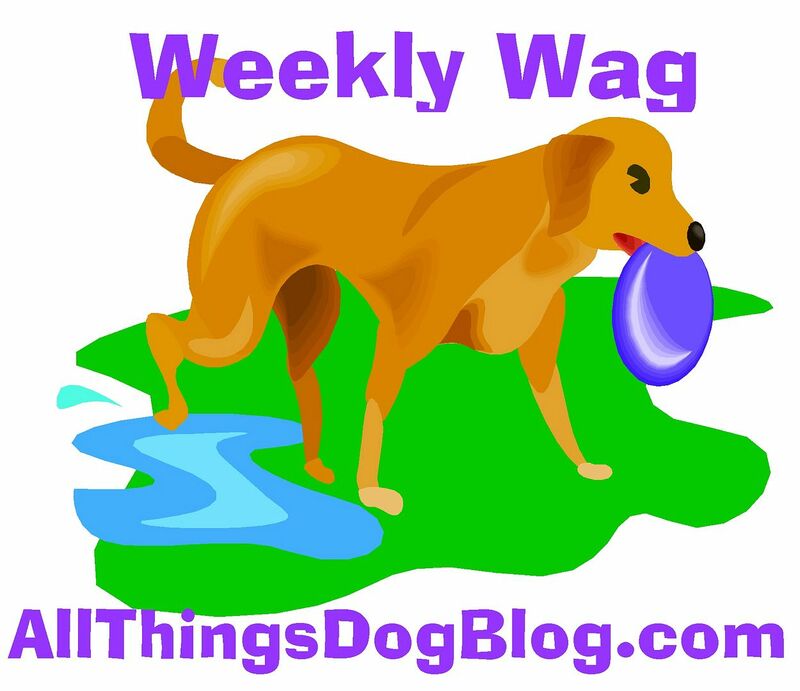 Are you getting All Things Dog Blog's posts by email? 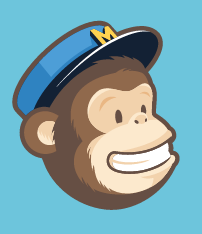 If you'd like to assure you never miss a post, stop in at our sidebar and look for the subscription "Dog House", where all our mail comes from! Simply click the Subscribe button and enter your email address. After you've completed this quick setup, visit your email inbox to activate your subscription. You'll receive an email from Feedburner, in which you'll find a link that you must click to complete the process. Looks like we're all set to go. Here's the subjects of the next post, with more to come after that. 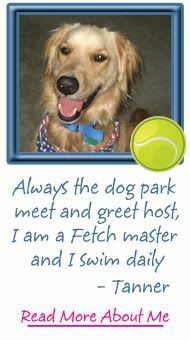 Watch for our recipe, fun games and great ways to keep your pup occupied when you're just too busy to play. Happy tails!